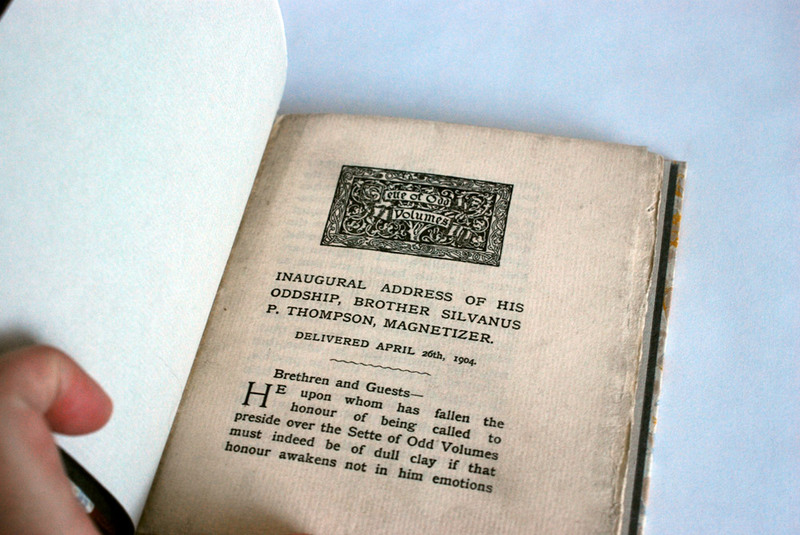 It’s been a while since I’ve posted on my own work due to having a crazy summer, but I recently completed this binding of the 1904 Inaugural Address of his Oddship, Brother Silvanus P. Thompson, Magnetizer for Ye Sette of Odd Volumes. I’m sharing this particular project because it has a really great back story and is the slimmest book I’ve ever bound in leather. The objects shall be to promote an interest in, and a love for whatever will tend to make literature attractive as given in the form of printed and illustrated volumes, to mutally assist in making researches and collections of first and rare editions, and to promote elegance in the production of Odd Volumes. The club’s headquarters is located at the former home of Sarah Wyman Whitman in the neighborhood of Beacon Hill in Boston, Massachusetts. The Club of Odd Volumes is a direct influence of Ye Sette of Odd Volumes, an English bibliophile dining-club formed in 1878. As I mentioned above, this particular pamphlet is the inaugural address of Brother Silvanus P. Thompson. During the planning phase for the binding, I did some investigative work on dear old Silvanus. At the age of 27, Thompson was appointed to professor of Physics at the City and Guilds Technical College in Finsbury, England. He had a talent for communicating complicated scientific concepts in a clear and interesting manner. He is best known for this work as an electrical engineer and his most enduring publication, Calculus Made Easy, a 1910 book that teaches the fundamentals of infinitesimal calculus. What really spurred my curiosity was the descriptor of Magnetizer added to the end of Thompson’s name in the pamphlet’s title. In 1910, Thompson was involved in early attempts to stimulate the brain using a magnetic field. After this death this technique would eventually be recognized as Transcranial Magnetic Stimulation. This story really inspired me to use a sheet of the hand marbled paper that I made while I was a student at the North Bennet Street School. The stone pattern of the marbling has a very organic, almost cellular feel to it. The movement of the yellow veins reminded me of electric currents flowing through the brain. What a perfect fit! 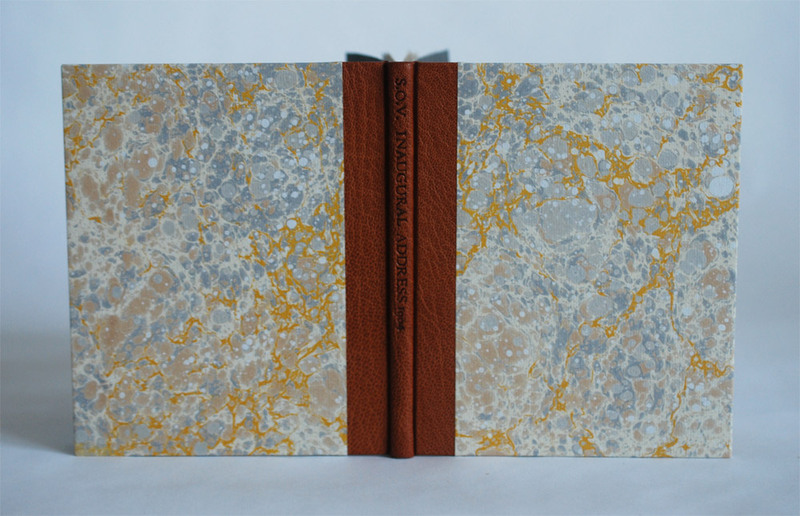 The structure of the binding is inspired by Ingela Dierick’s article Single Section Bradel Binding in The New Bookbinder (Volume 32, 2012). 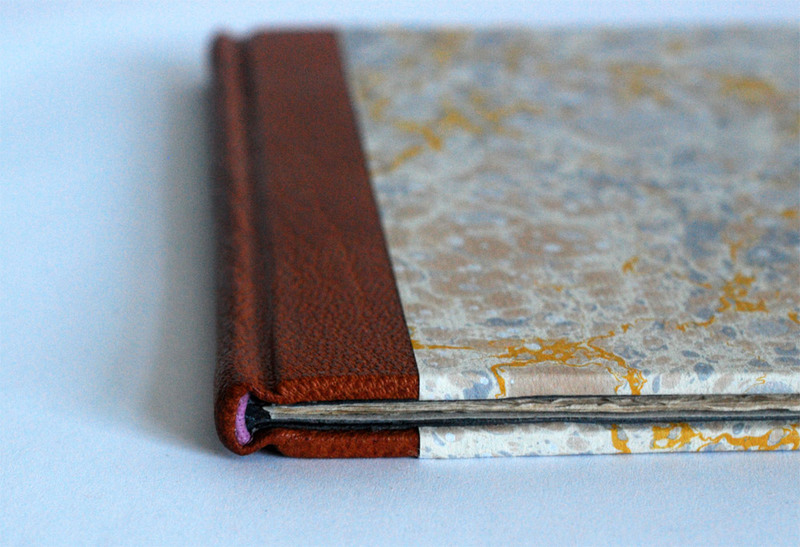 I’ve created a binding from this tutorial before and even posted about it on the blog. 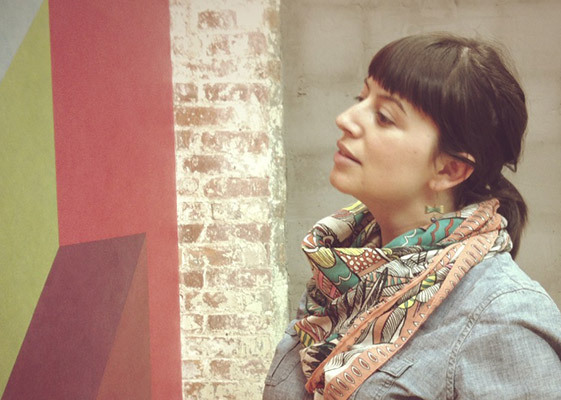 If you want to see/read more about the process, check out this prior post. The single signature pamphlet is sewn on a stub of equal thickness. 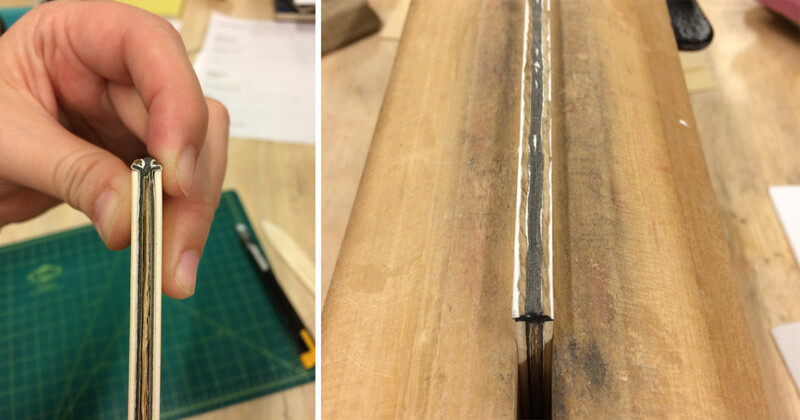 This stub is then shaped to create a false round, which allows you to continue with a binding suitable for a leather covering. In the image above you can see the finished binding. Below you can see the book right after I’ve shaped the spine with the help of hemp cord that create false shoulders (in the image on the right, you can see that I also painted the cord to blend in with the grey colored paper used for the stub). Other details of the binding include leather wrapped headbands in mauve buffalo skin that add a small pop of color. The paste down and flyleaf are Cave Paper in granite. I also hand tooled in blind an abbreviated title onto the spine: S.O.V. INAUGURAL ADDRESS 1904. I find these single signature bindings to be just as challenging as a multiple signature book. 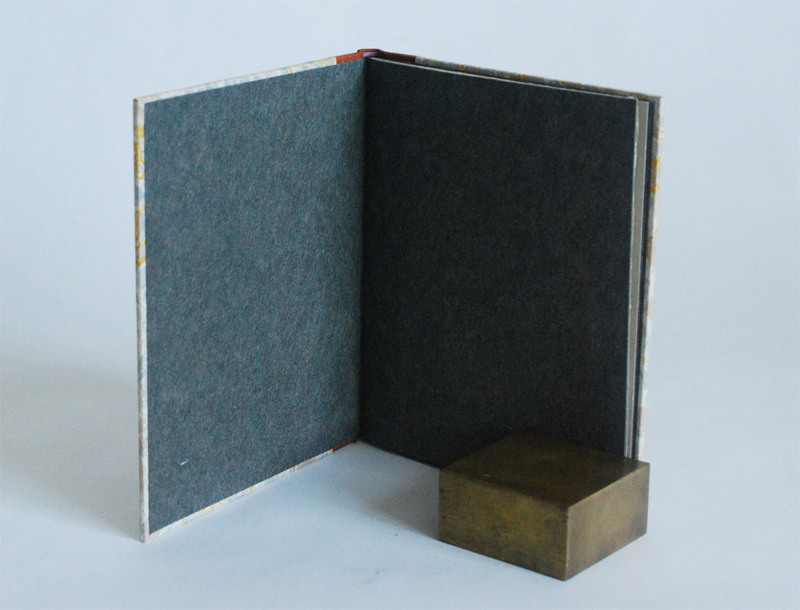 But it offers a certain level of satisfaction to turn something so thin and simple into a substantial leather binding.